Aidan is an associate within the Institutional Consulting Services Consulting Group at Beacon Pointe. His duties range from preparing performance reports, conducting asset allocation studies, to providing investment manager research. Aidan earned his BS in Business from the University of Oregon with a concentration in Finance and Sports Business. Outside of work, Aidan spends his time surfing, watching sports, and enjoying the outdoors. Alex is responsible for managing our institutional analytics department as well as model portfolio research, and reporting development and maintenance. Alex also manages the research and evaluation of our portfolio analytics tools and conducts passive investment research for the Beacon Pointe Investment Committee. In addition, Alex works with our Retirement Plan Services Group to conduct 401(k) fund research. Previously, Alex worked in Real Estate Acquisitions at Watermarke Properties, a property development and investment firm in Corona, California. Prior to that, Alex was a Financial Planning Intern at Tax & Financial Group in Newport Beach. Alex earned his BA degree in Business Administration from the University of California, Riverside in 2009 and is currently a CFA Level 2 candidate. Alex has a strong agricultural background with over 10 years of farming experience where he has helped with his family’s business. Alex loves to travel abroad and has been to over ten countries. Allison (Alli) is the Director of Marketing and Communications at Beacon Pointe. Her responsibilities include brand management, website oversight, marketing material design, presentation development, podcast and video creation, social media and content management, and market research, among other areas of focus. She graduated from the Marshall School of Business at the University of Southern California where she was captain of the Division 1, Pac-12, USC women’s volleyball team. She also received a Masters in Communication Management (MCM) from the Annenberg School of Communication and Journalism at USC. Alli is very passionate about financial education. She is a founding member of the Beacon Pointe Women’s Advisory Institute and recently co-authored Your Dollars, Our Sense: A Fun and Simple Guide to Money Matters, an international best-selling book that has ranked #1 in six different business and finance categories. She also served as a past committee member for UC Irvine’s Center for Investment & Wealth Management Financial Literacy Summer Residential Program for four consecutive years. Outside of the office, Alli volunteers her time working with her family’s non-profit organization serving the military sector, The Patriots Initiative. She also enjoys being in the outdoors horseback riding, golfing, traveling, and spending time with family. Alli is engaged to be married and currently resides in Newport Beach, California. Amanda is part of Beacon Pointe’s Client Service Department and is responsible for partnering with Beacon Pointe’s Private Client Group to deliver clients a personalized service experience. Her duties include execution of operations responsibilities related to portfolio administration, client reporting, relationship onboarding and projects designed to create operational efficiencies. Prior to joining Beacon Pointe in 2013, Amanda attended California State University, Long Beach where she graduated with a BS in Business Administration with an option in Marketing. In her free time, Amanda enjoys water sports, snowboarding, cooking, and spending time with family and friends. As part of Beacon Pointe’s Strategic and Financial Planning Department, Austin is responsible for helping private clients determine and achieve their financial goals. Austin initially attended Concordia University and played on the Men’s Basketball Team, transferring to Oklahoma State University, where he received a Bachelor of Science in Business Administration with a concentration in Finance. Outside of the office, Austin still enjoys playing basketball as well as golf, going to the gym, and spending time with family and friends. Austin is married and resides with his wife in Aliso Viejo, California. Christopher (Chris) is a senior associate in the Information Technology Department at Beacon Pointe Advisors. Chris is responsible for overseeing all of the firm’s servers and networks and cyber security practices, managing IT projects, testing new features and providing training and support to the nationwide professional team. Prior to joining Beacon Pointe, Chris was an accounting assistant at Carney Direct Marketing where he was responsible for supporting the accounts payable and receivable process and providing technical support on the firm’s media system platform. Chris earned his bachelor’s degree in Computer Science at California State University, Fullerton. Outside of the office, Chris enjoys spending time with family and traveling internationally. Derek leads investment manager research and due-diligence in the area of alternative investments, in addition to being a member of Beacon Pointe’s Investment Committee. Prior to Beacon Pointe, Derek held the role of Vice President at CRESO Capital Partners, Newport Beach, California, an investment banking firm focused on mezzanine investments, capital raising for preferred and common equity, and merger & acquisitions for privately held companies with revenues of $10MM to $250MM. His primary duties included client development as well preliminary financial and market due diligence of investment opportunities. Derek currently serves as the Chair of the Investment Committee at the Goodwill of Orange County. He is a graduate of University of California at Santa Cruz with a major in Economics/Business Management. He is a CFA charterholder and a member of the CFA Society of Orange County and holds the designation of Chartered Alternative Investment Analyst (CAIA). Doug has been with Beacon Pointe since its inception and is a founding partner. Doug is responsible for servicing and consulting to Beacon Pointe’s institutional and private clients. In addition, he is a member of Beacon Pointe’s Investment Committee. Prior to joining Beacon Pointe Advisors, he was Vice President at Canterbury Consulting. Doug also worked in the tissue transplant center at Loma Linda University Medical Center. Doug graduated from the University of California, Berkeley with a BS in Genetics and has earned the Chartered Financial Analyst designation. He is a member of the Orange County Society of Investment Managers. Doug is an avid marathon runner, and is passionate about environmental issues. Doug is married and lives with his wife in Laguna Beach, California. Dylan is a member of the Beacon Pointe Client Service team and is responsible for partnering with Beacon Pointe’s Institutional Consulting Services Group to provide the firm’s clients with a personalized service experience. His duties include portfolio maintenance, onboarding of new relationships, database management and client service. Prior to joining Beacon Pointe, Dylan graduated from Arizona State University with a major in Economics and a minor in Real Estate. During his time at ASU, Dylan interned at multiple finance firms and was also a member of the ASU Real Estate Club. Dylan is originally from Scottsdale, AZ and outside of the office he enjoys golfing, snowboarding, fishing and all things outdoors. Gabriel is a senior associate within the Institutional Consulting Services Group at Beacon Pointe Advisors. His responsibilities range from preparing performance reports, conducting asset allocation studies, to providing investment manager research. Gabriel earned his BA in Business Administration with a specialization in finance from the University of California, Irvine. Gabriel has a passion for film-making and enjoys watching, writing, and making movies in his spare time. Hillary is an associate within Beacon Pointe’s Marketing and Communications Department. Her responsibilities include social media management, database maintenance, and oversight of marketing processes. She also works directly with Beacon Pointe’s Institutional Consulting Services team to oversee and distribute Requests for Proposals, analytical reports, and conduct market research, among other duties. Hillary graduated from University of California, Irvine with a degree in Economics and a minor in Management. Outside of the office, Hillary enjoys running, exploring new types of food, and watching professional basketball. Jamie is a Manager in the Client Service Department at Beacon Pointe Advisors. She is responsible for partnering with Beacon Pointe’s investment and financial planning teams to provide the firm’s clients with a personalized service experience. Her duties include portfolio maintenance, onboarding new relationships, performance reporting and client service. Prior to joining Beacon Pointe, Jamie was a Senior Account Services Manager for a wealth management firm in Irvine, CA where she serviced high net worth individuals and families. Jamie was born in Los Angeles, CA and lived in Japan for 10 years. She graduated from California State University, Fullerton with a BA in Business Administration and a concentration in Finance. Jamie is married and lives with her husband and son. She enjoys traveling, camping, dancing, and spending time with her family and friends. Jason is primarily responsible for manager research and due diligence. In addition, he is a member of Beacon Pointe’s Investment Committee. Prior to rejoining Beacon Pointe in 2014, he spent approximately three years overseeing equity manager research for a $7 billion Los Angeles based investment advisory firm. Prior to this, Jason was with Beacon Pointe for nine years where he was responsible for conducting research and due diligence on investment managers and working with institutional clients in the areas of investment policy development, asset allocation, manager selection, and performance measurement and evaluation. Prior to originally joining Beacon Pointe in 2002, he was with Canterbury Consulting for three years. Jason received a BA in Business Administration with a concentration in Finance from California State University, Fullerton. He also holds the Chartered Financial Analyst (CFA) designation and is a member of the CFA Society of Los Angeles. Jason currently serves on the Investment Committee of the Goodwill of Orange County. Jason lives in Ladera Ranch, California with his wife and three children. Joey is an Associate Wealth Advisor and is responsible for partnering with clients and their advisors to provide customized solutions that help clients meet their financial goals. Among his duties are investment strategy implementation, portfolio performance reporting and asset allocation modeling. Prior to joining Beacon Pointe, Joey worked as a Financial Analyst at Canterbury Consulting where he provided investment analysis for ultra-high net worth clientele. Joey was raised in Kingston, Jamaica and Fort Lauderdale, Florida prior to graduating from Cornell University with a degree in Economics and a specialization in Financial Planning. Outside of work, he enjoys landscape photography, traveling, and relaxing with friends and family. Jonathan is responsible for client service and new client development in Beacon Pointe’s Private Client Services Group and is a member of Beacon Pointe’s Investment Committee. Prior to joining Beacon Pointe, Jonathan worked in PIMCO’s business development group, where he played an integral role in the development and maintenance of relationships with consulting firms and clients. As a former practicing attorney, Jonathan gained experience in both litigation and transactional matters. He earned his B.A. from the University of California, Los Angeles and was the Team Captain of UCLA’s Division I Men’s Volleyball team. Jonathan received his Juris Doctor from Pepperdine University School of Law and his MBA from UCLA Anderson School of Management. Jonathan is married and resides with his wife and three daughters in Newport Beach, California. Karen earned her BA in Finance with honors from California State University, Fullerton and maintains the Certified Financial Planning™ designation. Beginning with a college internship, Karen has spent her entire professional career in the financial services industry and joined Beacon Pointe Advisors in 2011. As a Senior Wealth Advisor, Karen is responsible for managing client relationships for Beacon’s Private Client Group. Along with Beacon’s Investment Committee Members and Financial Planning Department, as well as other key professionals, Karen is tasked with coordinating all areas of investment and finance to create and implement cohesive life plans for her clients. Karen serves as Board Director for the Beacon Pointe Women’s Advisory Institute and co-authored Your Dollars, Our Sense: A Fun and Simple Guide to Money Matters, an international best-selling book that has ranked #1 in six different business/finance categories. Kathy is Office Manager in the Client Service department at Beacon Pointe Advisors. She is responsible for client communications, database organization, oversight of internal processes and general office management duties. She is originally from San Diego and attended San Diego State University before graduating from South Western College with a degree in Liberal Arts. In her free time, Kathy is an avid runner, enjoys playing golf and working out. She currently lives in Newport Beach, California, and loves to spend quality time with both her son and daughter. Kelly is responsible for helping the firm’s private clients determine and meet their financial and estate planning goals. Prior to joining Beacon Pointe Advisors, Kelly spent four years doing financial planning at MetLife for individuals and small business owners. Kelly graduated from Gonzaga University School of Business with a concentration in Business Law, and earned her Master of Science in Taxation (MST) degree from William Howard Taft University focusing on the taxation of partnerships, estate taxation and planning, income taxation of estates and trusts, tax aspects of charitable giving and the taxation of real estate. Kelly received her Personal Financial Planning certification from the University of California Irvine, and is a Certified Financial Planner. Kelly is very passionate about financial education. She is a founding member of the Beacon Pointe Women’s Advisory Institute and co-authored Your Dollars, Our Sense: A Fun and Simple Guide to Money Matters, an international best-selling book that has ranked #1 in six different business/finance categories. Kelly’s writing about various tax and financial planning topics has appeared in multiple publications including the Financial Planning Association, Elite Daily, LifeHealth Pro, MainStreet!, and Financial Advisor IQ. Her hobbies include bike-riding, yoga, tennis and spending time with friends and family. She is a member of the Financial Planning Association of Orange County and volunteers for WomenSage. Kelly currently resides with her husband in Newport Beach, California. Laura Pettitt is Beacon Pointe’s Accounting Manager and is responsible for accounting, client asset and revenue reporting, and client billing across all Beacon Pointe offices located throughout the country. 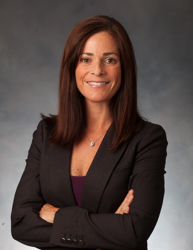 Laura brings 16 years of experience in financial services and wealth management and over 20 years in accounting. She held various senior accounting and taxation roles with Liberty Life and its subsidiary Stanlib Wealth Management in Johannesburg, South Africa. Laura earned a Bachelor of Commerce Honors Degree in Accounting from the University of Kwazulu Natal and received the Chartered Accountant (South Africa) designation. Laura is married and lives with her husband and two young children in Aliso Viejo, CA. She enjoys traveling, yoga and spending time with her family and friends. Liz is a Manager in the Client Service Department at Beacon Pointe Advisors. She is responsible for partnering with Beacon Pointe’s investment and financial planning teams to provide the firm’s clients with a personalized service experience. Her duties include portfolio maintenance, onboarding of new relationships, performance reporting and client service. Liz graduated from Chapman University with a BS in Economics. She is a member of the Saddleback Valley Chapter of National League with her twin daughters and in her free time enjoys skiing, boating, and travelling with her family and friends. Michael is the Chief Investment Officer of Beacon Pointe Advisors and the Chairman of the Beacon Pointe Investment Committee. Prior to joining Beacon Pointe, Michael served as Managing Director and Head of US Bonds, Head of Sovereign Credit Research, and Head of Emerging Market Corporate Debt at UBS Global Asset Management, where he was responsible for portfolio management, research, trading and strategy across the UBS global platform for these products. Prior to joining UBS, Michael was enrolled at the University of Chicago and studied in several post-graduate programs including Economics and in the School of Public Policy and had begun the core coursework in the PhD Finance program at the Chicago Booth School before returning to the capital markets in early 2008. He remains affiliated with the University of Chicago and has taught the undergraduate Intermediate Accounting course at Lake Forest College as an adjunct professor, and as a guest lecturer taught the fixed income and interest rate course sections of undergraduate finance and graduate quantitative finance programs at the University of Illinois, Northwestern University and Notre Dame. Prior to academia Michael was an Investment Grade Corporate Bond Portfolio Manager at PIMCO and was the PIMCO Funds National Sales Manager, as well as a senior member of the Consultant Relations Group. He started his career at Salomon Brothers as a fixed income salesman in the Private Investment Department. He received a BS in Accounting from the University of Illinois Urbana-Champaign, where he played intercollegiate water polo, and his MBA in Finance from the University of Chicago. Michael is a Chartered Financial Analyst and a Certified Public Accountant and is a member of the CFA Society of Chicago. He is married and has four children, and lives with his wife in Western Springs, Illinois. Michael is responsible for client servicing and new client development for the Private Client Services Group at Beacon Pointe. He is dedicated to providing his clients with individually tailored solutions and strives to achieve the optimal alignment between their wealth, values and goals. Prior to joining Beacon Pointe, Michael was a Financial Planner for Consilium Wealth Management in the San Francisco Bay Area where he worked with a select group of individuals and families designing and implementing wealth management strategies and constructing investment portfolios. He began his career at Merrill Lynch as a Financial Advisor. Michael is a Certified Financial Planner (CFP®) and graduated from The University of Southern California (USC) Marshall School of Business. Outside of work he is an avid sports fan, enjoys playing golf and spending time with his friends and family. Michael resides in Newport Beach, California. Neil is a manager within Beacon Pointe’s operations team. He is responsible for partnering with each of the firm’s partner offices on centralized operations functions including portfolio reporting and analytics, establishment of new client relationships and systems management. Prior to joining Beacon Pointe, Neil worked as a Marketing and Branding Consultant at Teles Properties, a real estate firm based in Southern California. Previously, Neil gained significant experience in sales, marketing and production at Alderbrook Winery, in Sonoma County, California. Neil earned his MBA degree, with a finance specialization, from Pepperdine University. Prior to receiving his MBA, he graduated from Sonoma State University with dual majors – Marketing and Wine Business Management. Neil has a diverse background having worked within database management, marketing consultation, website and graphic production. Neil loves the outdoors, and frequently rides his motorcycle around Orange County, California. Todd is responsible for client service and new client development within Beacon Pointe’s Private Client Services Group. Todd has more than fifteen years of industry experience. Prior to Beacon Pointe, he worked in various Wealth Manager/Financial Advisor roles at Fidelity Investments, TD Ameritrade, and American Express Financial Advisors/Ameriprise including V.P. Senior Account Executive and Director of Retirement Planning. Todd is a Chartered Retirement Planning Counselor – CRPC®. He earned his Bachelor of Science in Business Administration, with a minor in Economics from California Polytechnic State University in San Luis Obispo, and a Masters of Education from the University of Georgia. Todd has one son and two daughters. Outside of work, he enjoys coaching and all things baseball related, working out, running, watching sports. Trip is responsible for new client development for Beacon Pointe’s Client Services Group. Prior to joining Beacon Pointe, Trip spent 15 years on the institutional side of the business covering large pension funds, mutual funds and hedge funds as well as high net worth individuals for Barclays, Merrill Lynch and Bear Stearns. Prior to his investment career, Trip spent many years as a commodities trader specializing in the oil and gas industry. Trip received his BA from the University of Southern California where he was a member of the Sigma Alpha Epsilon Fraternity. Trip has two children and lives with his family in Newport Beach, California. Wanda is a Director in the Client Service Department at Beacon Pointe Advisors. She is responsible for asset allocation implementation, trading and client servicing for Beacon Pointe’s Private Client and Institutional Consulting Services groups. Prior to joining Beacon Pointe upon its founding in 2002, she served as Assistant Vice President at Canterbury Consulting where she was responsible for client servicing and portfolio administration. Wanda graduated from University of California, Irvine with a BS in Biology. She currently serves on the Board of Directors for Word Alive Church.